When it comes to balancing performance and luxury, there are few automakers that can compete with the illustrious reputation that Ferrari has been able to build over the years. Here at our used Ferrari dealership in Dallas, we have a deep appreciation for the brand that we find is matched by many of our shoppers. Choosing to shop for a Ferrari is tantamount to choosing a vehicle that’s unparalleled. There are many benefits to owning a Ferrari, all of which you’ll be able to enjoy here at Starwood Motors. Without even putting the key in the ignition, you can enjoy your Ferrari by sight alone. Taking a look at your Ferrari–or, just as excitingly, showing it off to friends and acquaintances–is a thrilling experience. With a bold, low to the ground exterior design and a cabin crafted using only the finest Italian leather, every Ferrari model stands out as a truly phenomenal work of craftsmanship. Then, of course, there’s the performance a used Ferrari at our Dallas dealership will bring you. With a history on the F1 circuit that continues on to this day, it’s no secret that Ferrari’s vehicles are built to perform. From the track to the street, you can’t beat the feeling of a Ferrari responding to your every command. Of course, there’s also the #1 reason to buy a Ferrari: you want to. 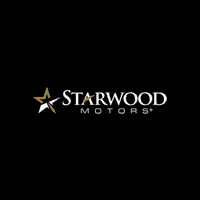 You’ve been dreaming of a vehicle this amazing for years, and at Starwood Motors it can finally be yours. What’s stopping you? For more information on our inventory of quality Ferrari models, or to schedule a test drive with our expert staff, don’t hesitate to contact us online or to call us. We’re as excited as you are to see you behind the wheel.